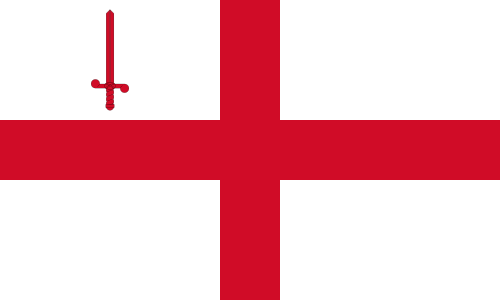 The City of London Flag. Please burn. Indeed, Jordi IS George, but celebrated with romance & literature & roses & public appreciation of fabulous architecture. Not a warm pint of Carling with a dead wasp floating in it. And, after all, South London is twinned with the revolutionarily utopian & classless Barcelona discovered – however briefly – by George (ahem) Orwell in 1936. This entry was posted on April 22, 2010 at 3:41 pm and is filed under Art, British Empire, Change We Can Believe In, FreeSouthLondon, Protest, Revolution, Saints, South London with tags Antiestablishmentarianism, Art, FreeSouthLondon, Politics, Revolution, South London. You can follow any responses to this entry through the RSS 2.0 feed. You can leave a response, or trackback from your own site.